Welcome to Thistlewood Farms, your premier event venue for your special occasion. Our all-inclusive 52-acre pecan/peach orchard, classic barn and new pavilion offers amenities perfect for your celebration! Centrally located in Byron, Georgia, Thistlewood Farms is the perfect mix of elegance and rustic romance. Contact us for all the details. The farm has been owned and operated by Gary and Kelly Thistlewood since 2012. After their own daughter was married at the farm, they designed the estate with events in mind. Gary and Kelly personally work with each client to ensure they have a beautiful event. 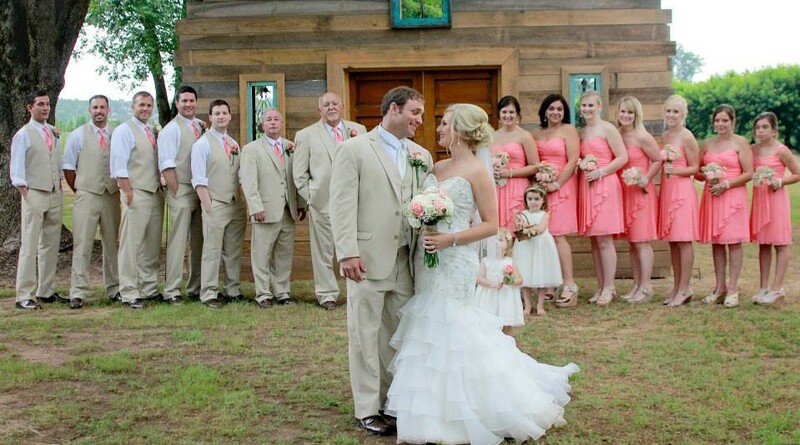 If you are looking for an outdoor venue for a country rustic wedding then Thistlewood Farms is your Venue! It has the country atmosphere and scenery with the most amazing touch of elegance to it with its huge covered pavilion with lots of bright lighted chandeliers!!! Surrounded by rows of pecan trees on one side and a peach orchard on the other! My son & daughter in law fell in love the minute that we pulled up at the Venue! The owners go above and beyond to help you make your wedding day as special & memorable as they can and help out as much as possible! The price is very reasonable and about the same as other Venues in the surrounding counties!!! You will not go wrong with choosing Thistlewood Farms for your special day!!! My son’s wedding was picture perfect!!!!!! Just gorgeous!!!! It was such a beautiful day! !